Now you have made up your mind to become IAS officer and looking for the books and study materials to achieve your goal. Well, you are on the right page. Now We are Sharing With You Vajiram and Ravi Prelims Test 09 2019 with Solution. All PDF which are provided here are for Education purposes only. Please utilize them for building your knowledge and don’t make them Commercial. We request you to respect our Hard Work. We are Providing Everything Free Here. UPSCPDF.com Will Not Charge Any Cost For Any Service Here. At the end of this article, we have shared links to get the Test paper with Solution. 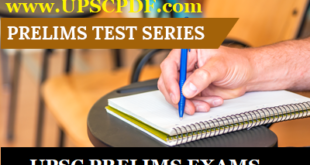 If you don’t have access to UPSC Prelims material and UPSC Mains material andUPSC Optionals material and Test Series [Prelims/Mains]and also Magazine you can also follow their website and be updated. Please share this post with the needy aspirants. UPSCPDF.com does not own this book, neither created nor scanned. we just providing the links already available on internet. if any way it violates the law or has any issues then kindly contact us. Thank you.